Your pantry is, without a doubt, the most important part of your home and for foodies, it is a haven. 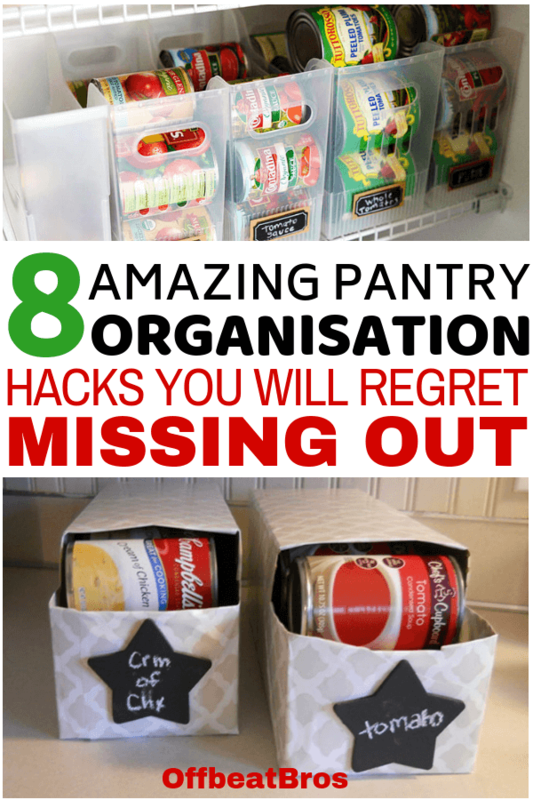 But, if finding something in your pantry is a tedious task then it means it needs to be organized. The pantry also plays an important role in the kitchen, so an organized pantry is surely a step towards an organized kitchen. So, keep your pantry organized with these clever pantry organization hacks and make it an organized haven. Most people use multipurpose bins to file their magazines and notebooks. But, Toni from A Bowl Full of Lemons uses them to keep her pantry organized when she found that they are the perfect size to hold 16- and 28-ounce cans. Now you can fit more cans on a shelf without worrying about them falling over. A really brilliant idea which can save a lot of space and headache. 2. 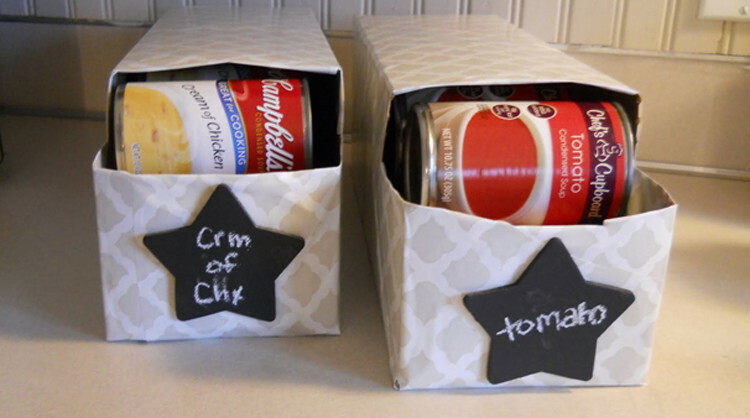 Or, recycle soda can boxes to store canned foods. 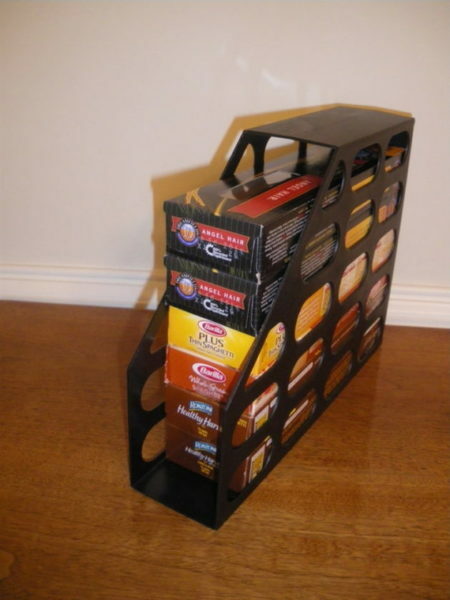 Just like Magazine holders, soda can box can also be recycled and used to store canned food. I think this is a brilliant idea to put those boxes in good use to save space. 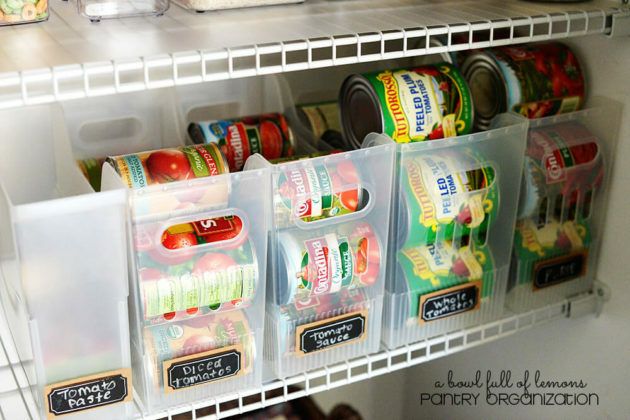 When we can use magazine holders for storing cans, why not use it to keep spaghetti packs organized in one place. So, dust your old and forgotten magazine containers and put your favorite spaghetti packets in them. Keeping open boxes of cereals in the pantry is a problem as these boxes occupy a lot of space. But, these containers are a perfect solution to this problem of cereal storage. Since they are transparent, you can easily see what’s inside and how much you have of it. They also save you a lot of space and confusion as well apart from looking pretty. You can also use stickers and label them for a better organization. 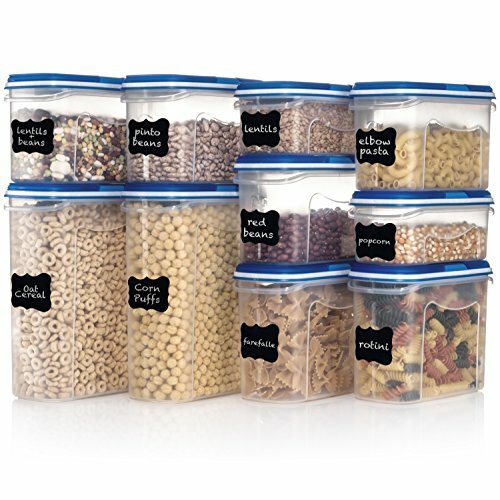 You can also buy these containers which pre-ship with the label and a pen for organizing. Related: Simple Kitchen Organization ideas to keep the kitchen organized. Having a labeling system is highly vital for having an organized pantry. And the glass containers with similar looking items create the most confusion. 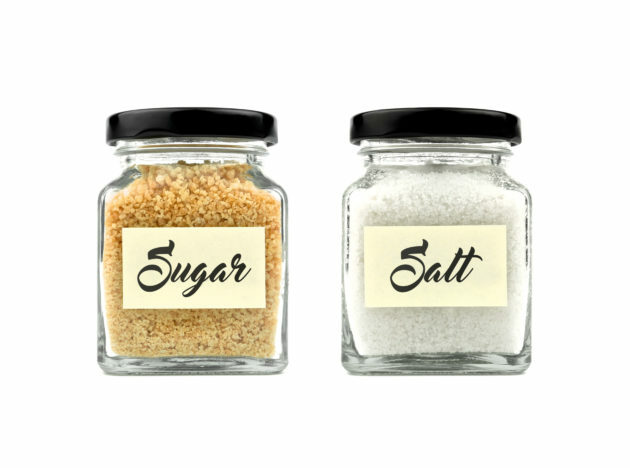 So, label those glass containers with bold letters so you don’t get confused between salt and soda again. Gather and Flourish has free printables to help you ease the process of labeling. Dollar store containers are a robust solution for pantry organization. It will help you stay organized and make for a sleeker-looking pantry. Here is a quick video from Do it on a dime showing Kitchen cabinet makeover using dollar store containers. 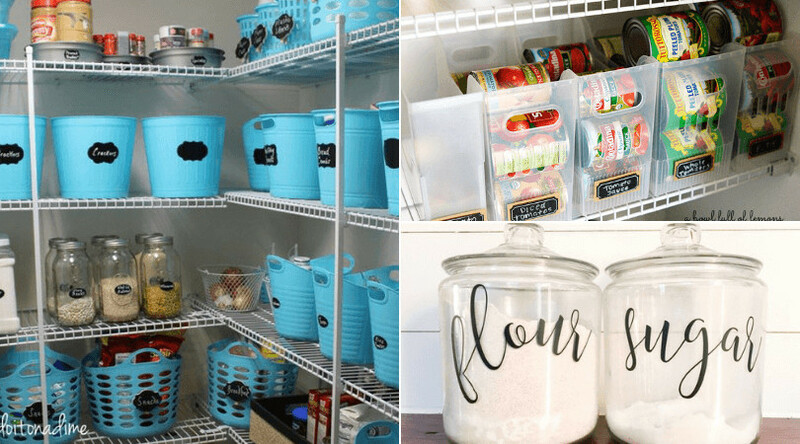 Not only for the pantry, but the dollar store is a haven for organizing every part of a home. Storing crisps is a big problem as if not stored properly they can get squashed and broken. This is a brilliant idea to prevent your favorite crisps from getting squashed and broken. All you need is to use Command hooks & clips and hang the bags on the sides of your shelves. And, you can even see what you have available before opening a new bag. Keeping track of what you have and what you need is important as it will help you prevent spending money on things you already have. 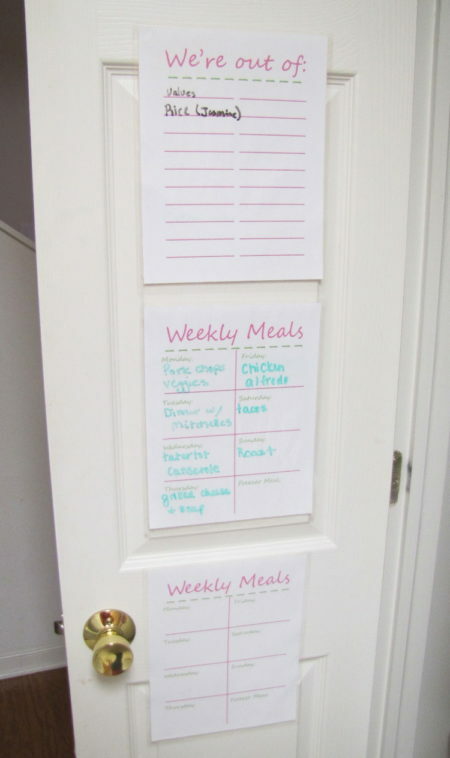 Just attach a grocery list and a weekly menu on the door so as to keep track of what you need in an easy way. Stick a list of “what to buy” and “what to make” this week on your kitchen’s door and say goodbye to forgetting to put items on the grocery list. 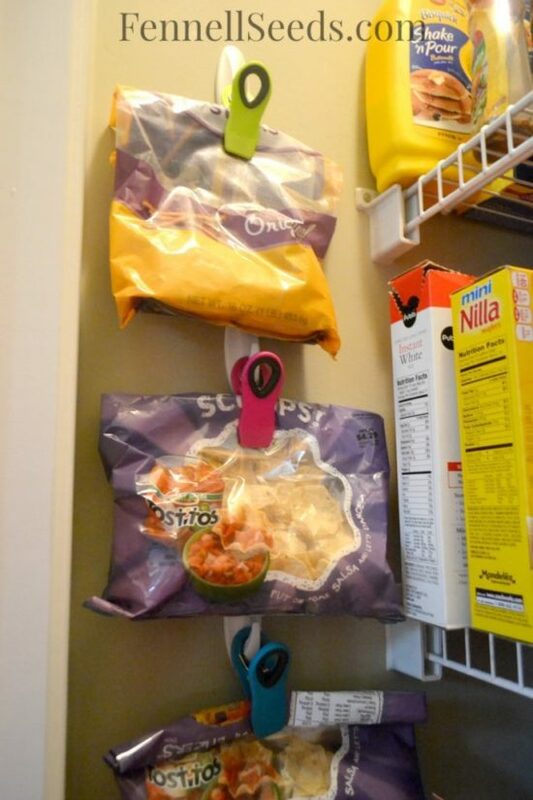 Related: 13 Genius Kitchen Organization hacks. If you found these tips useful, share the post on Pinterest!